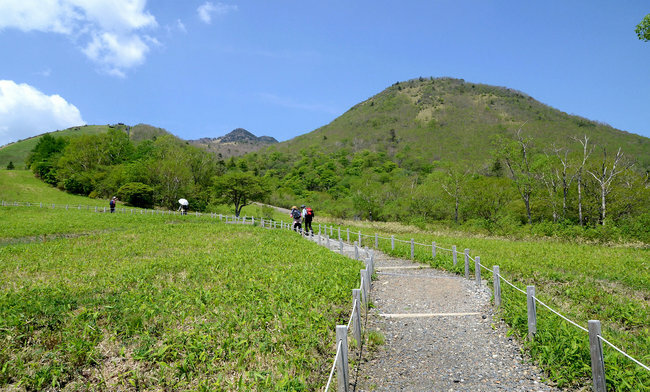 Visitors are expected to observe the followings in the park. Do not leave the boardwalks and park paths. Do not remove any animals / plants and any other natural things. Do not cause trouble for other visitors. In this course, you will leisurely watch highland flowers. 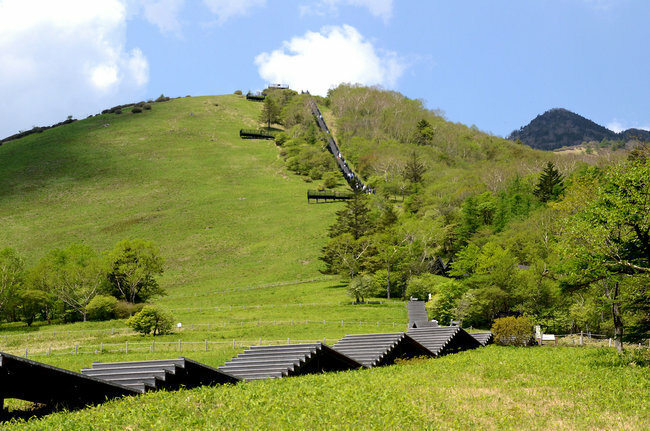 You aim for the refuge hut at the "L" point while enjoying watching flowers from the walking trail, and then when coming back, you climb down the straight stairway. - Walking trail "B" to "C"
- Walking trail "C" to "E"
- Walking trail "H" to "I"
- Walking trail "I" to "K" to "J"
The starting point is the second-floor entrance of Rest House. You can use the elevator to the second floor. 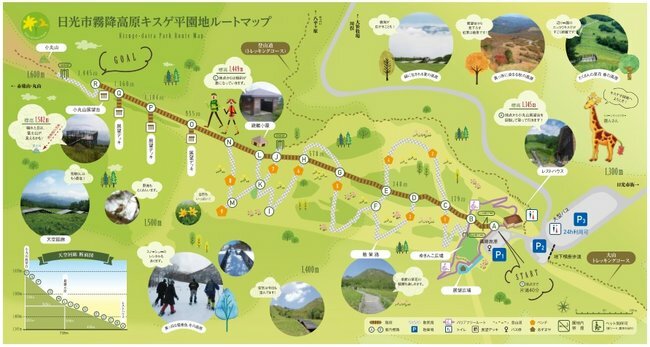 - Barrier-free route "A" to "B"
- Around the barrier-free route "B"
- Barrier-free route "B" to "A"
Viewing square: You can command a panoramic view of Kanto Plain on a sunny day. 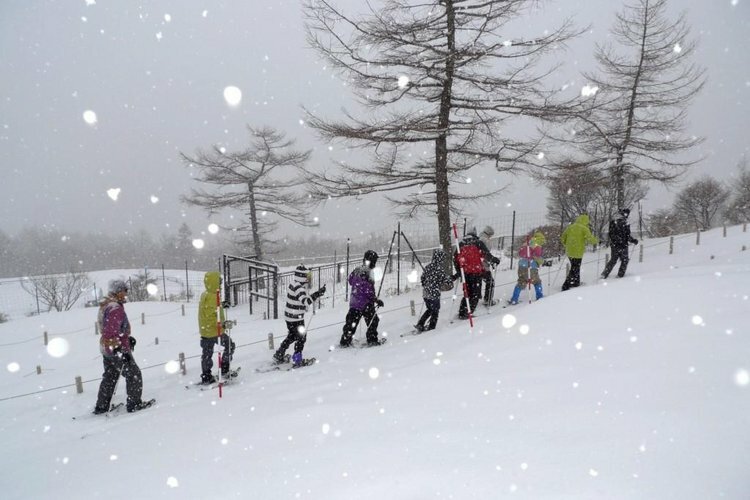 It takes about 90 minutes to make a round trip to Komaruyama Lookout using only stairway. There is a password posted on the summit (Komaruyama Lookout). Those who have checked the password will be issued a summit success certificate, so give it a try! 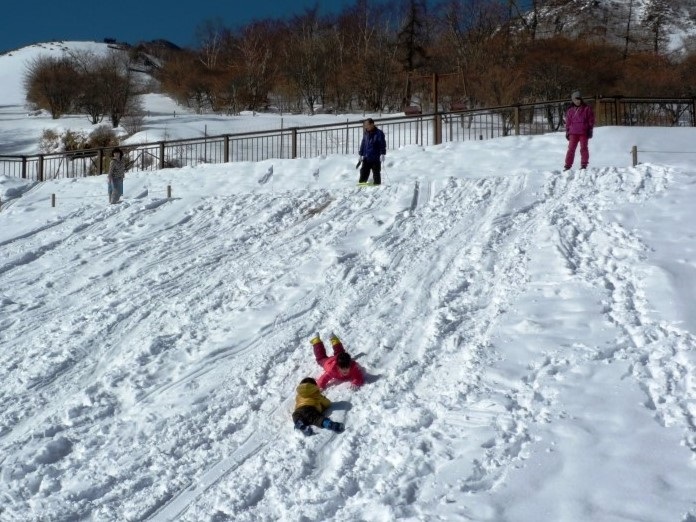 Best place to let your children play in the snow. Apr. to Nov.: 9 a.m. - 5 p.m.
Dec. to Mar. : 9 a.m. - 4 p.m.
© Nikko Branch, Natural Parks Foundation. All rights reserved.